Returning to the Axelrod on Saturday, February 17, The Capitol Steps is back and they’re bringing the Washington DC circus with them! America’s most hilarious troupe of political comedians are touring with their new show MAKE AMERICA GRIN AGAIN, and it’s exactly what we need to help us sort out the twists and tweets, firings and misfirings and other death-defying circus acts of our elected officials. 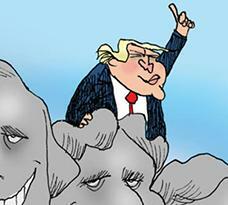 There’s never been a better time to catch The Capitol Steps than in this glorious Era of Trump. 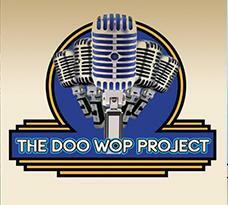 By popular demand, The Doo Wop Project returns in June this year! Five handsome guys from the Broadway stage singing popular tunes from the ‘50s to the present. This is the Axelrod’s most popular show and it always sells out fast. Get your two on the aisle today! 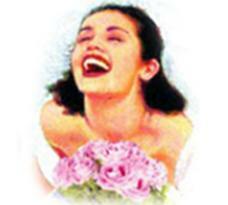 The hit ABBA musical Mamma Mia! makes its Jersey Shore debut in a brand new production created by Barry Ivan, whose work has been hailed at the country’s most prestigious regional houses, including Pittsburgh CLO and North Shore Music Theater. Don’t miss this exceptional cast parading through favorite tunes like “Dancing Queen,” “SOS” and “The Winner Takes It All". The Axelrod Performing Art Center is dedicated to offering our Members and Audiences the very best of Broadway and beyond...and what better time to donate and become a member than now? See Membership Opportunities!